PT Sarana Multi Infrastruktur (Persero) - PT SMI (Persero) or commonly abbreviated as "SMI" is a reputable state-owned financial services company in Indonesia with core business competencies in infrastructure financing. Formed in 2009, SMI has its business activities focused in 3 main sectors: Financing & Investment, Advisory, and Project Development. 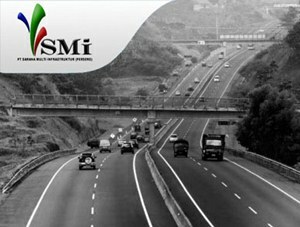 SMI is recognized as a catalyst in facilitating Indonesia’s infrastructure development. SMI is a close State-Owned Public Company. The whole Company is under the control of the Government of of Indonesia, represented by the Ministry of Finance. SMI is based in Jakarta and its head office is located at Sahid Sudirman Center, 48th Floor - Jl Jenderal Sudirman No 86 Jakarta 10220. SMI now has 2 affilated companies, namely PT Indonesia Infrastructure Finance (30%) and PT Jasa Marga Pandaan Malang (5%). In term of financial performance, SMI’s business results in 2016 showed improved performance compared to 2015. According to PT Sarana Multi Infrastruktur (Persero) Annual Report 2016 as cited by JobsCDC.com, SMI reported total revenue of Rp 2,329 billion in 2016. This reflected an 213.03% increase year-on-year (YOY) from Rp 744 billion in 2015. Referring to its annual report, total net profit of SMI grew by 297.70% YOY from Rp 305 billion to Rp 1,213 billion in 2016. Male or Female, age around 27 -35 years old. Minimum S1 degree in Economics, Finance, Engineering, Statistic, Math or equivalent. Possess certification in CFA or FRM would be a strong advantage. Have specific experience in risk modelling, macroeconomics, financial statement analysis, portfolio risk management, Risk Appetite Statement, and Enterprise Risk Management. Familiar with Microsoft office and various data analytics tools. Proficiency in English language (written and spoken) and report writing skills is a must. Deep understanding of risk management framework, especially banking or other financial institutions and familiar with BASEL and Banking Risk Management Regulation. Analytical minded and have ability to assimilate and apply new techniques and knowledge quickly to deliver insights and solve problems. A passion to contribute to the growth of the team. JobsCDC.com now available on android device. Download now on Google Play here. Please be aware of recruitment fraud. The entire stage of this selection process is free of charge. PT Sarana Multi Infrastruktur (Persero) - Enterprise Risk Management Staff SMI February 2019 will never ask for fees or upfront payments for any purposes during the recruitment process such as transportation and accommodation.